Are people still having open houses? Whether you’re a seller looking to advertise your home or a buyer browsing to purchase, the term open house is bound to show up at one point or another. Open houses, aka open house viewings, are a type of property viewing where multiple potential buyers can view a home prior to purchase (generally held on Sundays or over the weekend). The open house which is held on the actual property is generally organized, marketed, and hosted by the seller’s agent. Buyers are able to stop by and attend an open house by themselves or along with their agent, the buyer’s agent, to represent them. Although, open houses, which were first recorded in the early 1910s, have become a standard method of marketing a new home in the past century, recently, more and more people have begun to question the usefulness of an open house which brings us to our topic today… Are people still having open houses? Offers the buyer an opportunity to get up close and personal with a property that they may have otherwise not had a chance to view. Regardless of the ability of the Internet to provide us with photos of the home, certain buyers still prefer being able to view properties in person to fully recreate the idea of living in the new home. Providing an open house can lead interested buyers to ask for an even more intimate private showing, which has been proven to have a higher rate of closing. The marketing of a property leading up to an open house can help get the word out there that a home is on the market for sale which generates more traffic for the seller. Buyers who are new to the market, prefer attending open houses since there are more people attending which takes the pressure off their backs while they take their time to view the property. Curb appeal: In order to draw buyers in, there is a lot of planning to ensure that the curbside is appealing to them! Small things such as raking the sidewalk to parking the seller’s car inside the garage (or elsewhere) can ensure that buyers will actually approach the home to view it. Welcoming exterior: Similar to curb appeal, sellers will need to do what they can to ensure that the exterior of the home is welcoming. Whether that means hanging up a wreath, cleaning up their yard, and/or hanging out a sign, all this takes time to plan and create. Staging the interior: Organizing and cleaning the home prior to a open house is such a must that many will go to such lengths to hire professional to stage a home. Any evidence of the seller’s personal life must be removed as to ensure that the buyer can create their own dreams of what living in the home would be like. All of these things and more can be exhausting. There are safety and liability issues associated with holding an open house for the seller. It is an inconvenience to the sellers who will have to prep the house by either cleaning the house, bake cookies, and/or leave the house while the open house is occurring. Buyers may have more opportunities to pick apart the flaws of a place when viewing in person. Open houses often end up drawing in curious neighbors, onlookers, and prospective buyers who aren’t quite sure what they want yet. 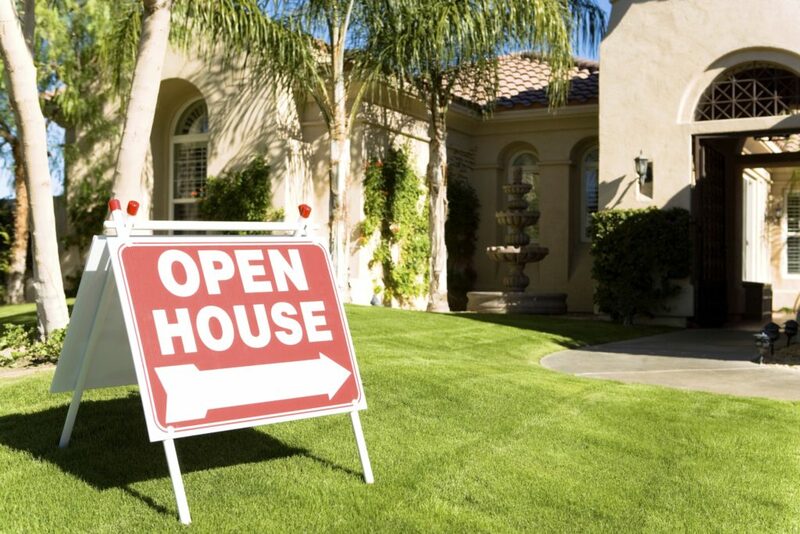 This means that most viewers don’t end up purchasing a home at open houses. Overall, only 3% of buyers ever visited open houses, according to the National Association of Realtors. This could, in general, be thanks to the advancements of technology which allows buyers to view listings online. In summary, the feeling towards open houses from both sellers and buyers seems to be leaning more and more towards unnecessary. However, if you are still interested in holding one, remember that open houses tend to work more effectively for homes that are more unique and closer to busy populated areas. Be sure to keep your personal, expensive, belonging safely locked up in a safe and talk out multiple strategies with your agent prior to your open house. For those attending, have fun attending open houses and imagine yourselves living in your brand new home!